Open 7 days a week - Book Online Now! At City Love, it is our goal that after a service, our clients look and feel so amazing, that they feel inspired and ready to inspire others. Our mission at City Love is to give our community a place where anyone can feel comfortable getting their hair done. At City Love, we strive to set an example of quality, skill, and style, not only in the world of beauty, but in our own neighborhood. City Love Salon and Barbershop was established in 2015, as an exit from the corporate drag to the living the American dream. The Castillos took a chance and now had space where artists can live as artists, free to create and inspire each other while being professionals and upstanding citizens. 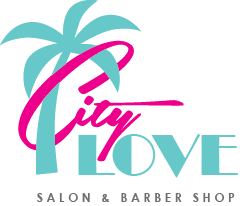 Book your next service with city love today. Brittany has been doing my hair for 3 years, and I love her! She's fun, outgoing and totally easy to chat with I have thick wavy hair and she gives me the most-perfect highlights and blow-dry I totally recommend Brittany! This place is really clean and in a great part of town. Plenty of street parking around to choose from too. This place has a really comfortable atmosphere and everyone that was working there was extremely approachable and friendly. Love this place on Cherry Avenue, in the heart of Retro Row. Bryan always gives me a great haircut. He is a true craftsman with his scissors! Go check out City Love, it's a cool place run by cool people. And there's a great coffee shop, next door! Get 30% off online shop! Sign up for our newsletter to get monthly tips, discounts, and updates.